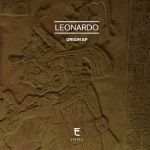 Review: After debuting on Alan Fitzpatrick's We Are The Brave digital label, Leonardo wastes no time in launching his own label Etheric as a vessel for his own productions, and he serves up a potent brand of tech house built for maximum club damage. "Hieroglyph" has plenty of gaseous tones, but it's a rock solid party track at heart, while "8" matches airy synths with a tough beat in a truly uplifting combination. "Birdcage" shuffles on a stripped down, slightly swung groove and "Land Of Warriors" breaks things open with an adventurous trip into broken rhythms and dramatic musical motifs. 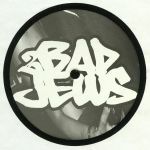 Review: Dokta has been seen lurking around 20:20 Vision with a curious take on that label's particular brand of house. That step to the left becomes more pronounced on this record, where Dokta gets to call on a wealth of live instrumentation to animate his sound. 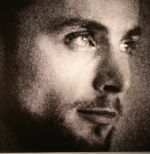 On "London Nights" he interweaves vocal, ambling keys and crooked basslines into a curious and utterly inspired cocktail of cool-headed pressure, which Jason Heath then simmers down to a purely instrumental refrain. Burnski goes to the other extreme and beefs the track up for a firm and functional ride, while Ralph Lawson dubs the track out and gives it a low slung swagger. Review: Tommy Vicari Jr, also known as either Tomski or Vibration White Finger depending on which sounds you gravitate towards, has put out a staggering amount of EPs since the mid 00s, and an even more absurd volume of tunes in the last three years alone. The house specialist has been called up to revitalise the Hyperspace brand, and this effective four-tracker is built with exactly the right sort of mineral for it. "Always Be Here" bounces lazily amid a wonderful sea of rattling percussion and muddy bass bumps, while "Rudow" is a much sleeker, more intricate house gem backed by a wall of sub-bass. The flipside starts off with "Ramshackles" and its stripped-back, minimalistic approach that leaves room just for the low ends to dissipate, whereas "Unooutcome" drops a classic Chicago sort of vibe that recalls the sort of basslines Lil Louis would bang out on a regular. Review: SH2000, a mystery artist whose been busy keeping himself under the radar, returns to Volking Music with another EP (check the guy's Ethereal Sound release for a true lesson in deepness!) and it's two tracks of utter symphonic beauty. "Track 1" releases a steady, driving kick beneath airy, delayed sonics and dreamy melodies, while on the flip, "Track 2" heads into total abstraction thanks to a starry landscape of atmospherics gliding left, right and centre without the help of any beat or bassline. Breathtaking excursions into the ether.